Sherlock Holmes gehört jetzt allen: Bei der Welt berichtet Hannes Stein über den Copyright-Streit über die Figur Sherlock Holmes von Arthur Conan Doyle. »The suit, which stems from the estate’s efforts to collect a licensing fee for a planned collection of new Holmes-related stories by Sara Paretsky, Michael Connelly and other contemporary writers, makes a seemingly simple argument. 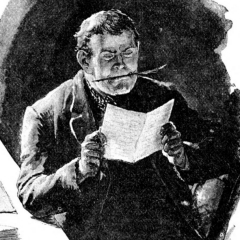 Of the 60 Conan Doyle stories and novels in “the Canon” (as Sherlockians call it), only the 10 stories first published in the United States after 1923 remain under copyright. Therefore, the suit asserts, many fees paid to the estate for the use of the character have been unnecessary. Whose property is Sherlock Holmes? Jennifer Schuessler reports about the so called „Sherlockian Civil War“, a battle over control of Conan Doyle’s estate and the Twitter hashtag #freesherlock. Read more at The New York Times.